From the uniquely imaginative mind of writer/producer/director Baz Luhrmann comes the new big screen adaptation of F. Scott Fitzgerald’s novel “The Great Gatsby.” The filmmaker will create his own distinctive visual interpretation of the classic story, bringing the period to life in a way that has never been seen before, in a film starring Leonardo DiCaprio in the title role. Academy Award nominee DiCaprio (“J. 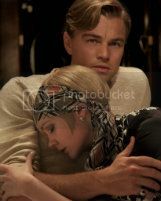 Edgar,” “Aviator”) plays Jay Gatsby, with Tobey Maguire starring as Nick Carraway; Oscar nominee Carey Mulligan (“An Education”) and Joel Edgerton as Daisy and Tom Buchanan; Isla Fisher and Jason Clarke as Myrtle and George Wilson; and newcomer Elizabeth Debicki as Jordan Baker. Indian film legend Amitabh Bachchan will play the role of Meyer Wolfsheim. Oscar nominee Luhrmann (“Moulin Rouge!”) directs the film in 3D from a screenplay co-written with frequent collaborator Craig Pearce, based on Fitzgerald’s book. Luhrmann produces, along with Catherine Martin, Academy Award® winner Doug Wick (“Gladiator”), Lucy Fisher and Catherine Knapman. The executive producers are Academy Award® winner Barrie M. Osborne (“Lord of the Rings – Return of the King”) and Bruce Berman. Two-time Academy Award-winning production and costume designer Catherine Martin (“Moulin Rouge!”) designs as well as produces. The editors are Matt Villa, Jason Ballantine and Jonathan Redmond, and the director of photography is Simon Duggan. The music is by Craig Armstrong. Warner Bros. Pictures presents, in association with Village Roadshow Pictures, in association with A&E Television, a Bazmark/Red Wagon Entertainment Production, a Film by Baz Luhrmann, “The Great Gatsby.” Opening Dec. 25, the film will be distributed in IMAX® 3D, 3D and 2D by Warner Bros. Pictures, a Warner Bros. Entertainment Company, and in select territories by Village Roadshow Pictures.